What is Android Rooting and How to do it ? Recently Arshee Shethwala asked me over my Facebook Fan Page about What is Android rooting and How to Root Android Devices. So, i decided to do a full post on it because its such a cool topic. So the first question is WHAT IS ANDROID ROOTING and How to Perform Rooting of your Android Device? The Android phone that you are using is running an operating system that was designed for commercial and private use. Like most any operating system, several features have been disabled, either for future use or to prevent the casual user from causing permanent damage to the operating system. Freeing up memory-When you install an app on your phone, it is stored on the phone’s memory. “Rooting” allows you to move installed applications to your SD card, thus freeing up system memory for additional files or apps. Custom ROM’s-This is the most powerful feature of “rooted” phones. There are hundreds of custom ROM’s that can do anything from speeding up the processing speed of your phone to changing the entire look and feel of your phone. Rooting immediately voids your phone’s warranty-Once rooted, don’t try to bring your phone back for service or warranty work. You are on your own! Poor performance-Though the intention of “rooting” a phone is to give the phone more performance, several users have found that, in their attempts to speed up the phone or add additional features, that their phones lost both performance speed and features. Remember that when you “root” your Android phone, you are making changes to the stock operating system. Viruses-Yes, even phones can get viruses. 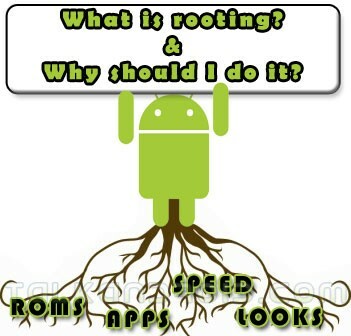 A common practice that people do with “rooted” phones is to flash their ROM’s with custom programs. Whenever you make changes to the code of a software, you run the risk of introducing a virus. So, the decision to “Root” your Android phone is one that should not be rushed into. Though the allure of having an unlocked phone is powerful, having a “bricked” phone is, trust me, not very much fun. Nahi Koi problem nahi ayega. Bus thoda cuatious hona padta ha. Do it only if you know what you doing. Phle pado root k baaare me and ye bhot achi chiz b ho skti ha or bhoot buri b.Appka phone brick b ho skta ha or get permanently damaged if not done correctly. Hope it helps. Hi my name is moosa i live in pakistan i have oppo a37 its not rooting from any app like kingoroot and others it shuts down auto matically and doesnt root now i have only to root it from laptop that i have please will this srs root tool work for me because oppo a37 have poor root access if i download any app from my phone in google it doesnt roots. Will it work for me ravi singh to root it from laptop because i have oppo a37f.